Bruce Maloy of Samson, Ala., was hailed as the unsung hero of shootings that claimed 10 lives this week. Authorities and witnesses said Maloy chased the shooter out of town in his pickup truck, possibly prevent more deaths. 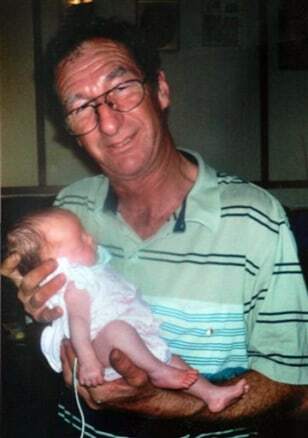 Maloy is pictured holding his newborn grandchild on Feb. 22, 2006.